Since 1974, Michiana Water Conditioning (formerly Miracle Water Service Company) has been a family owned and operated local business. Joe and Barb Ayrea started the business with a small storefront on Main Street in downtown Elkhart before moving to a larger location on Toledo Road in the late 1970’s. Their son, Jon Ayrea took over ownership in 1993 when an illness caused Joe to slow down on the day to day operations. The business was moved to the current location of 2314 Sterling Ave in Elkhart. 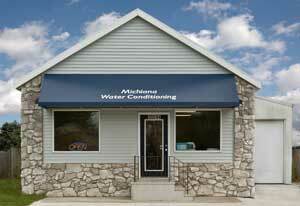 Michiana Water Conditioning is proud to offer a full line of water softeners and conditioners. As well as reverse osmosis drinking water systems, bottled water, water coolers, softener salt delivery service as repairs on many makes and models of water softeners on the market.